Apple has announced the iPad will launch internationally on May 28, debuting in nine countries: Australia, Canada, France, Germany, Italy, Japan, Spain, Switzerland, and the United Kingdom. The company still hasn’t announced international pricing information for the device or any carrier partners for 3G versions of it iPad…but at least some of those details should be revealed Monday May 10, when iPad pre-orders go live in those countries. 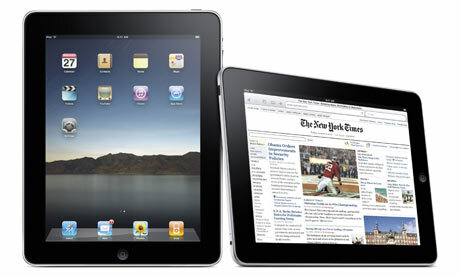 According to reports, Apple plans to launch both the WiFi-only and the WiFi/3G versions of the iPad in those countries. The devices will retain the same storage configurations as models available in the United States: 16, 32, of 64 GB of onboard storage. The May 28 date is about a month after Apple originally planned to launch the iPad internationally: in mid-April the company delayed the international launch by a month, citing strong demand from the U.S. market. The next nine countries on the list to get the iPad? July should see Austria, Belgium, Hong Kong, Ireland, Luxembourg, Mexico, the Netherlands, New Zealand, and Singapore getting the iPad.